1. Guest management is a breeze. Events can be a little hard to manage when you’re anticipating a lot of guests. Which guests are entitled to free drinks? Which guests are underage? Which guests are allowed VIP access? Which guests are members of the media? Offering custom wristbands at your event is probably the most efficient way to differentiate between different types of event attendees. 2. Your staff will have an easier time. Events with many guests can be chaotic, so imagine what it must be like for your staff members who are working on the ground. Bartenders, security personnel, ushers—these people will have to bear the full brunt of an eager crowd from the beginning of the event until the very last guest has left the premises. Color-coded wristbands offer efficient visual cues for verification, making it easier for your staff to identify guests and manage the event. 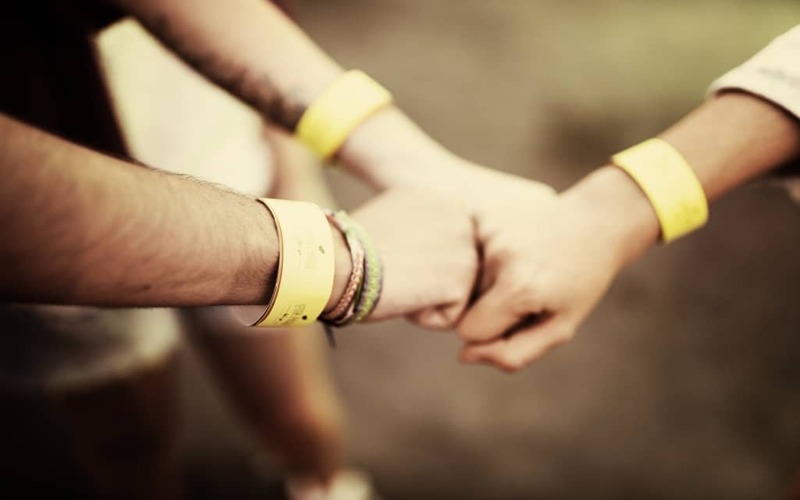 A brightly colored band can be a sign that a person has VIP access or that a guest is of the right age to be drinking alcohol. Make sure that your staff and the venue security are familiar with these codes so they can tell which is which at a glance. This will greatly lessen congestion at bars and entrances, as it will make processing guests much faster for the people manning these areas. 3. Additional branding for your event. Since event wristbands are customizable, they can be made to carry your brand. You can create unique and memorable event wristbands that can get you some brand recognition, something that will last long after the event. There are even guests—especially those who love attending concerts—who make it a point to collect wristbands to keep as memorabilia. You can even let your sponsors in on the fun and let them get more exposure. They may even agree to sponsor the wristbands for you, meaning you save money for your event in the process. 4. Wristbands are extremely durable. Bad weather is one of the greatest fears of an event organizer, as this can literally dampen outdoor events. Having custom wristbands for your event will at least take away one thing off your list of things to worry about. Paper tickets have a tendency of disintegrating upon contact with rain and can even be lost in the chaos of a crowd scrambling for shade in the event of sudden rainfall. Rubber or silicone wristbands are lightweight and waterproof, plus they are not prone to getting lost. There’s always the risk that scammers and fraudsters will try to create fake paper tickets to your event. They might do this so they can score alcohol despite being underage or get inside your event venue without paying the price of admission. This is a reality of hosting events: there will always be someone who will attempt to talk their way into the VIP section. Not only is this stressful and confusing, but it can also lead to liability issues if things go out of hand. Custom wristbands are tamper proof and non-transferable: once they’re secured on a wrist, there’s no way of taking them off and transferring them to another person while maintaining their validity. Wristbands also deter fraudsters in the first place, as these people know they can do little to get past wristbands. So when you’re planning your next event and you want things to go swimmingly, it’s a good idea to invest in customized wristbands. This small step can certainly dial down your event-related headaches. What are wardrobe essentials for men?